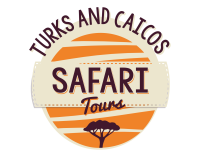 Archive from category "Limousine Service"
Turks and Caicos Taxi service, a special care of of your Turks and Caicos vacation. Reuben will take the wait out of the airport for you. No Waiting, no hassle, immediate transfer to your hotel, or if requested, a special Island guide and tour with best ideas what worth to see and visit in Providenciales. At VIP Luxury Transportation everyone is a VIP client. We understand that you expect the best and we strive to exceed the expectations of our regular clients as well as those new to the VIP, Executive Transportation experience. Our team is dedicated in providing customized transportation to meet your needs. A luxurious four door stretch limo will meet you anywhere in Providenciales. Up to 10 people. Weddings, birthdays, airport pickup. V.I.P. LIMOUSINE: top of the CLASS in transportation & sightseeing tours. At V.I.P Limousine our service not only stands out, it is outstanding.